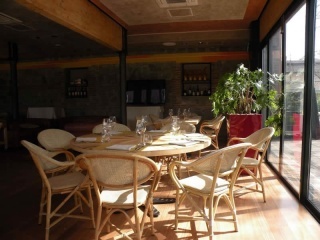 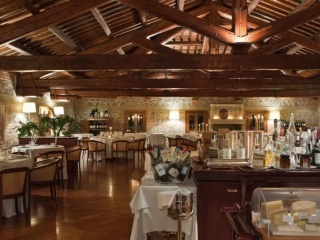 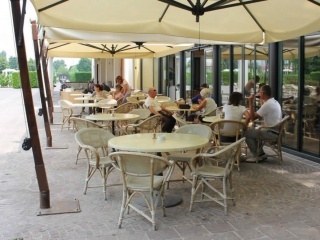 The restaurant La Montecchia is located inside the clubhouse of the Golf Montecchia, in what was an old tobacco drying. 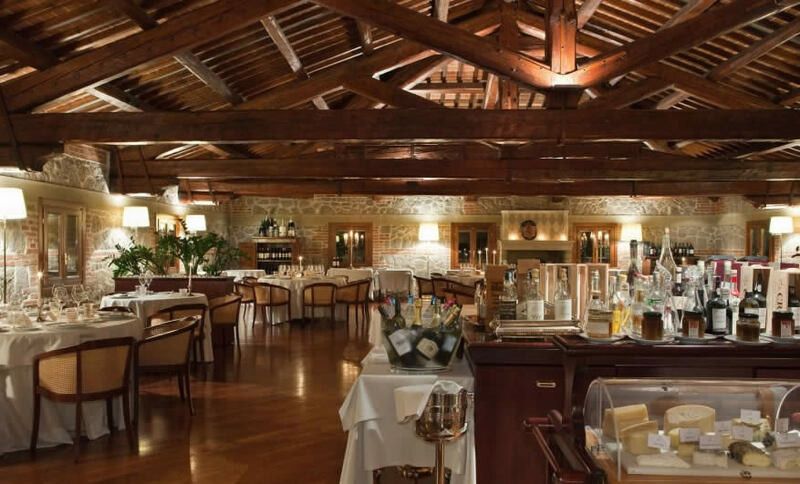 The restaurant, awarded one Michelin star in 2010, is managed by Erminio Alajmo, owner for years of the reataurant Le Calandre, now led by Massimiliano and Raffaele. 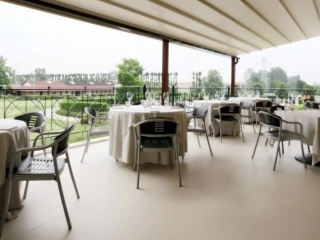 The rooms, spacious and stylish, enclose the cooking philosophy of Massimiliano Alajmo, which is expressed through attendance and respect for the ingredient. 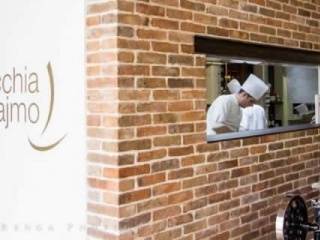 The dishes are a harmonious balance between Alajmo's style and local tradition, with an eye for local and seasonal quality ingredients. 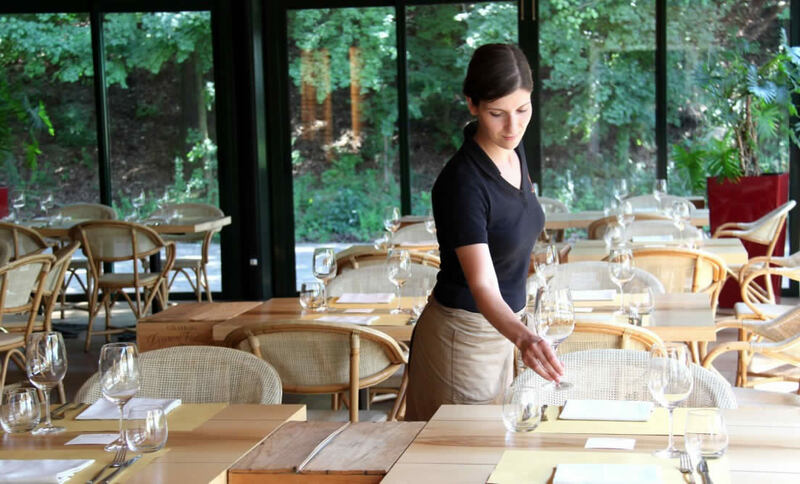 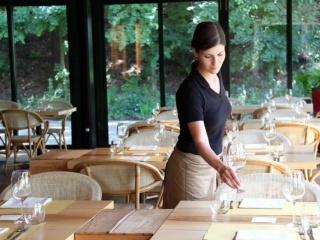 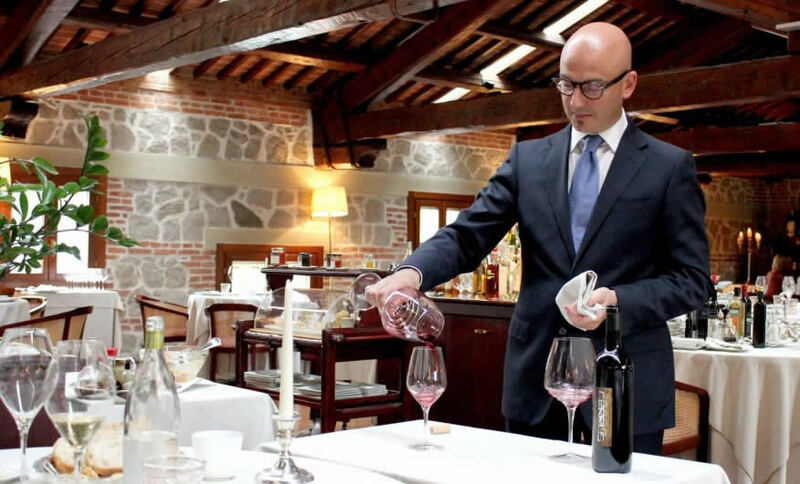 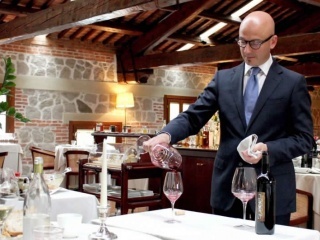 The Alajmo family over the management of La Montecchia, also follows the restoration of the Bar & Grill ABC Montecchia. 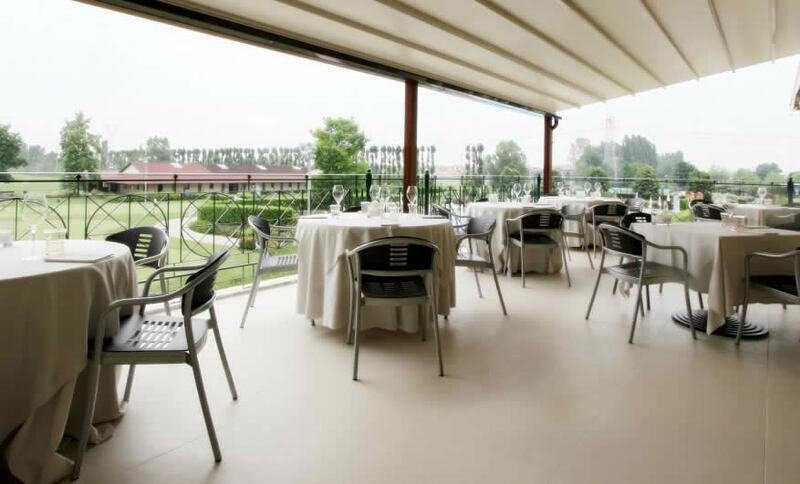 Framed by the green of the Euganean Hills and overlooking the driving range and the putting green, illuminated in the evening hours, ABC features traditional Italian dishes combined with informal service offered at attractive prices. 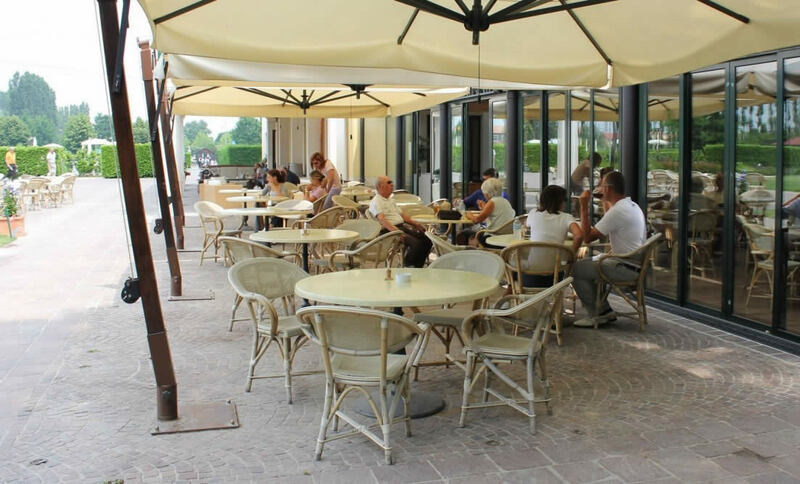 Here you can enjoy the classic three P of italic tradition (pane, pasta, pizza) performed in a workmanlike manner, with fragrant leavened and very light and top quality ingredients. 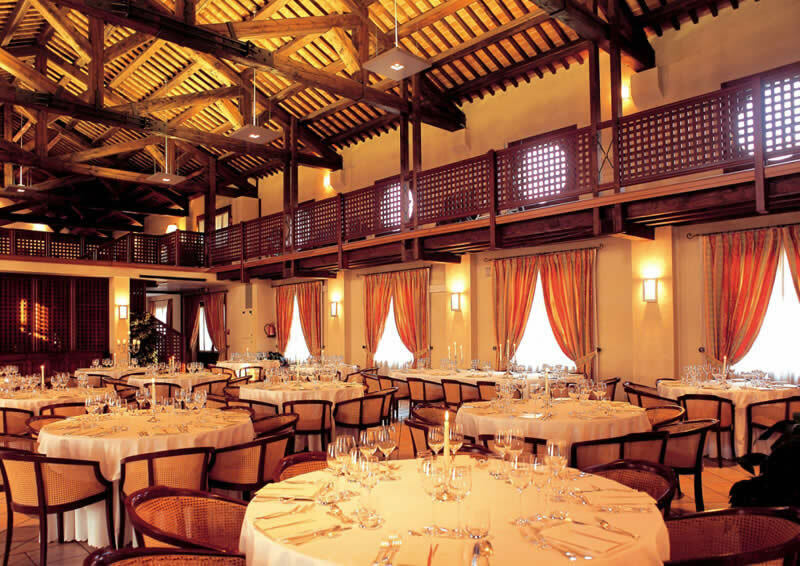 The menu offers a wide choice ranging from vegetables with vinaigrette to grilled meats to finish with a sweet tooth desserts, all rigorously prepared with selected seasonal ingredients. 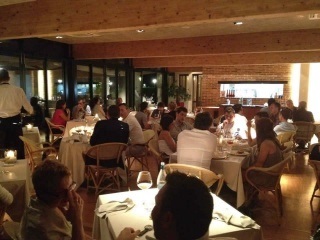 La Montecchia finally offers the possibility to host in its structure also private and corporate events. 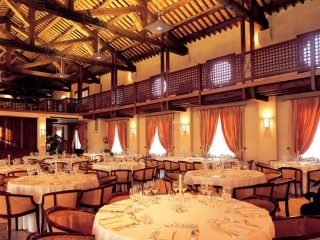 With its three rooms, Petrarch, Foscolo and Ruzante, La Montecchia can receive events, from 10 up to 300 people, tailored by our professional staff, making them unique and unforgettable.